As winter persists, your furnace works tirelessly to keep your home comfortable. This added strain means it’s more susceptible to damage. The last thing you want is to come home to a cold house and a heater that doesn’t work. One of the best ways to avoid this is to understand the warning signs of a bad furnace. This way you can call in the experts before a breakdown occurs. Unfortunately, heating systems are complex, and sometimes problems go unnoticed. To help you out, we’re going over some common issues and how to address them. Plus, if you’ve been wondering, “How do I find quality heater repair near me,” keep reading. We’ll go over how to find a pro in your area. This is one of the easier problems to identify, but one of the most frustrating. Cold air coming from your vents could be the result of a number of issues. 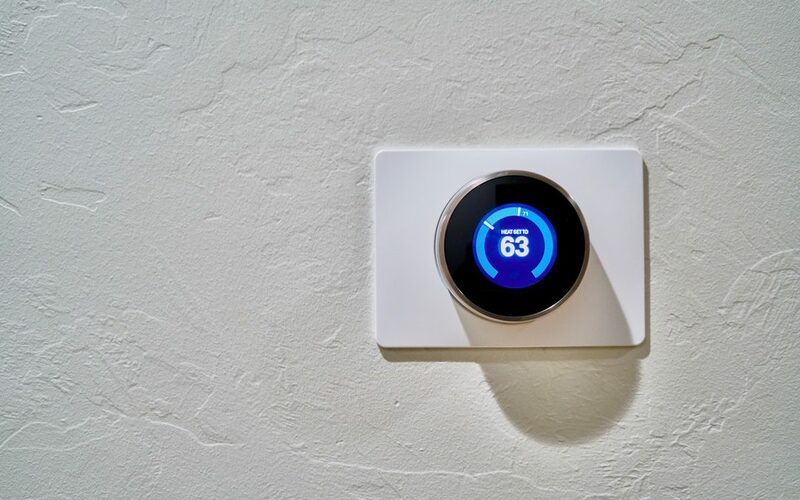 The first thing you’ll need to do is check your thermostat to ensure it’s on the correct settings. If it is, your furnace may have a major issue. Next, you’ll want to check the condition of the air filter. If it’s full of debris, there’s a good chance it’s affecting the efficiency of your system. Go ahead and replace the filter with a new one. If the air filter isn’t the problem, check your pilot light to make sure it’s still lit. If it’s not, make sure the gas valve is in the “on” position and try to light it. If you’re still not getting any warm air, it’s time to call the professionals. You may notice that the air coming out of your vents is warm, but it’s not blowing hard enough to adequately heat your home. This is another problem you’ll need to diagnose quickly, especially if colder nights are in your future. A dirty air filter may seem like a minor issue, however, it can drastically impact the performance of your HVAC system. Not only will it block airflow to the ducts, but it can also shorten the lifespan of your unit. Replace your filter and check if this solves the issue. If the filter isn’t the culprit, you should take the age of your furnace into consideration. Older systems will start to deteriorate over time. Weakened airflow is one side-effect. If you have an old furnace, a bad fan motor could cause week airflow. You’ll need to look into replacing the motor or the entire furnace. Have you noticed your heater not turning off automatically when it’s supposed to? This means there’s a good chance your furnace is getting overworked. You’ll first need to check your thermostat. Make sure it’s not set to “fan,” which means it’ll run until turned off manually. If it is, set it back to “auto” and ensure the temperature isn’t set too high. If this isn’t the issue, make sure the batteries in your thermostat aren’t going out. You should also check for wiring that’s come unplugged. You can also try resetting your thermostat. If this doesn’t help, you’ll need to turn your furnace off and call an expert. There may be a more complicated issue with the blower. Any type of odor emanating from your HVAC system is unsettling. If you notice a burning smell, you need to address it immediately. There’s a chance it could present a health hazard. A smoky or burning odor could be the result of a number of issues. The motor in your finance may be overheating. You may also have an electrical issue. You’ll need to turn off your heater right away. Then, check the air filter to ensure it isn’t clogged. A dirty filter could cause the motor to overheat and may even send dust into your vents, which could create a burning smell. Add a clean filter and test the unit. If you still notice a burning smell, turn off your heater and call a furnace professional. It’s important to note that furnaces usually emit a strange odor when turned on for the first time of the season. If this is the case, let it run for a while. The smell will probably go away. We discussed weak airflow and a lack of warm air, but sometimes heaters fail to adequately heat certain areas. This inconsistency in your home can be frustrating. As with many other issues, you need to make sure you have a clean air filter installed. A clogged one could cause an imbalance in the way your heater distributes air. Inconsistent heating could also mean you have a leak in your ductwork. You’ll need to access the duct in your attic in order to check for a leak. You’ve diagnosed an issue with your heater and tried to troubleshoot it yourself. If you’re not able to fix the problem, it’s time to call the professionals. You’ve most likely Googled “heater repair near me” and have gotten several results. However, don’t simply call the first business you see. First, check their website to ensure they work on furnaces. You should also make sure they have adequate experience in your area. You should check out customer reviews and testimonials as well. This will give you a good idea of the quality of service they provide. Check if a business provides maintenance service as well as repairs. You may be able to find an affordable maintenance package that will keep your HVAC system running smoothly for years to come. If you notice any of the issues discussed above, it’s best to address them right away. There’s a good chance you’re dealing with something minor that won’t cost much to fix. However, ignoring the issue could lead to unexpected breakdowns. If this happens to you and you’re asking yourself, “What’s the best heater repair near me,” contact us today. We provide a wide range of HVAC services in Murrieta and surrounding areas.